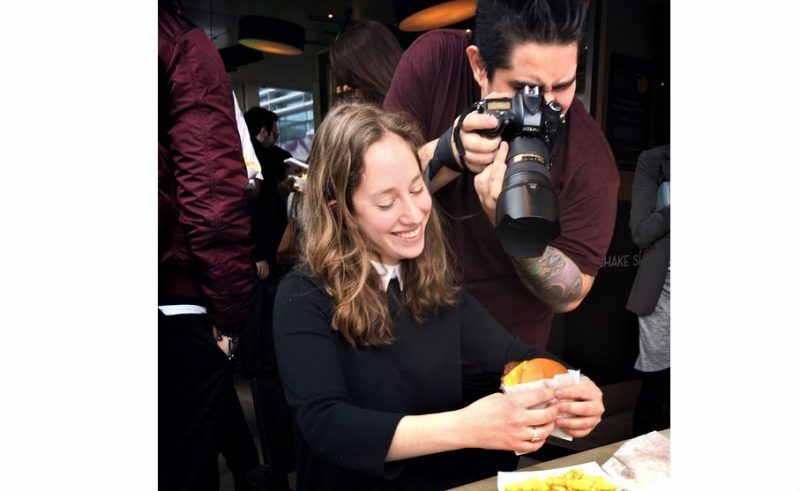 Amy Grief has worked with blogTO and is now an Associate Food Editor with Chatelaine. As a self-proclaimed theatre kid, Amy’s muse is now focused on food and is often writing about must-have treats and covers a host of kitchen tips for her readers. We sat down with Amy to talk about finding food as her beat and to gain a deeper understanding on what tasty stories have gone stale. What path did you take to arrive at Chatelaine? Did you always want to be in a food writer? I got my start in student press and fell in love with the idea of having a job where I write, edit and speak to interesting people all day long. Following undergrad, I went to Ryerson for the Masters of Journalism program and right after, started working at blogTO as a staff writer and editor. Once there, I started covering the restaurant scene in Toronto, and when I had the opportunity to join the team at Chatelaine, while continuing to live in the food world, I jumped at it. What is your ultimate food travel destination, what’s the first thing you would eat upon arrival? My dream food destination is Japan and I don’t even know where I’d begin once there… however, the food destination I dream about most often is Van Leeuwen Artisan Ice Cream in New York City — I crave the honeycomb ice cream (it’s basically sponge-toffee flavoured) pretty much daily. What type of food stories are of most interest to Chatelaine? I’ll never tire of speaking to women who are doing cool, innovative things with food. What determines whether or not you will read a pitch? I try to read everything because I’m super curious! But it’s definitely a plus when whoever’s pitching to me knows which publication I write for. Best and worst pitch you’ve ever received? I honestly can’t remember, but awesome pitches always have a focused, personal touch. As for the worst, one time I opened a product package the wrong way and got that crinkly shredded packing paper everywhere. But I guess that was my fault for being a klutz! Any visions on what food trends to expect next? What trends should be put to bed? I think we’re going to keep seeing more plant-based alternatives to meat and dairy products, and the vegan options for consumers are going to get even more delicious. Can we please retire anything activated charcoal-infused, products that promise to help you “detox” and back-less chairs and benches at restaurants? Name three (3) foodie bloggers/instagrammers you’re in love with right now. I’m obsessed with Molly Yeh for funfetti-related reasons. Smitten Kitchen/Deb Perelman has approachable recipes and a writing style that makes you want to be her best friend. Tara O’Brady because she’s incredibly thoughtful and has the world’s best chocolate chip cookie recipe. Both (but I’m going to say baking because I have an insatiable sweet tooth). Top three! Restaurants, books and meals to make at home. I’m a big reader and I feel like it’s mean to choose favourites, but here are three books/series that I think about, return to and re-read often. 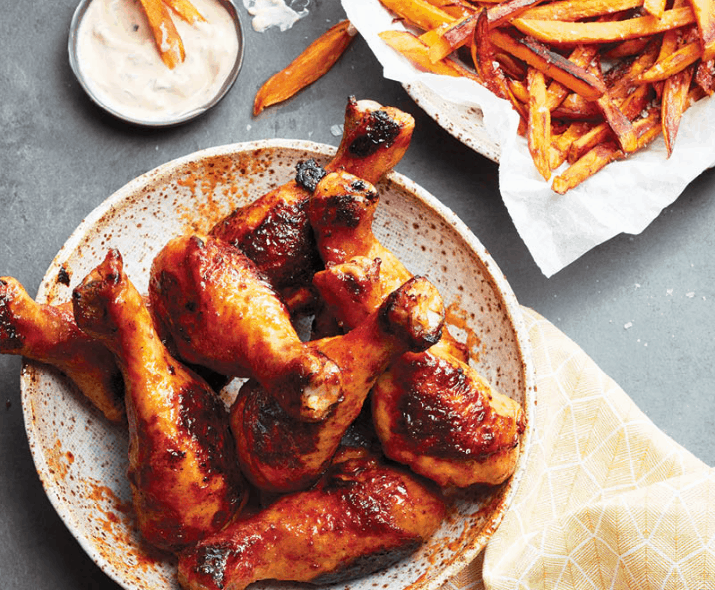 Chatelaine’s super easy Sriracha chicken drumsticks and sweet potato fries sheet pan dinner!